This post may contain affiliate links. Read the full disclosure policy here. Modern quilters take for granted the intuitive step by step processes of building quilt blocks from small pieces of fabric, then joining those blocks together into the finished quilt top. Those processes only seem intuitive to us because from our perspective that's how quilts have "always" been constructed. However, quilts have not always been made that way, rather those processes developed over time as quilters figured out ways of making the best use of their time, space and materials. adding small pieces of fabric or strips to an ever-growing top. This proved to be cumbersome and difficult to work with as the quilt top approached its full size. 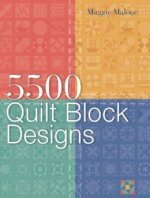 Therefore, quilters gradually began breaking their projects into more manageable blocks. These blocks were usually constructed from simple geometric shapes: squares, rectangles, triangles, and diamonds. Many of the names given to quilt block patterns are deeply rooted in the history of America. The influences upon quilters lives -- their religion, political and historical events, their environment, and everyday objects -- are apparent in the names given to popular quilt blocks. 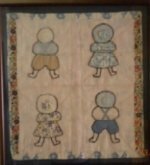 Early block designs allowed thrifty quilters to use very small scraps of fabric. Some of the earliest blocks consisted of blocks made up of 4 squares of fabric sewn together (4-patch) or 9 squares of fabric sewn together (9-patch) in many different variations. One of the earliest 9-patch blocks was the Roman Square, also known as the Roman Stripe and Roman Stripe Zig Zag. Another way quilters used their scraps of fabrics in their designs was to regard different fabrics of the same shade, both solids and prints, as being the same color, resulting in quilt tops with richer, more textured visual impact. steps are mastered. Don't know where to start? 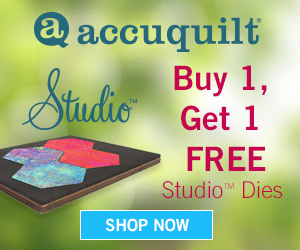 At Quilting-Tidbits.com you can learn quilting using the right tools, supplies, and techniques. Basket Weave -- a 2-color 4-patch block constructed of 2 light-dark-light squares and 2 dark-light-dark squares. Beggars Blocks -- a 9-patch 2-color variation of the Roman Square block. Cats and Mice -- Pennsylvania Dutch name for the 2-color variation of Roman Square. Chinese Coins -- simple, scrappy design. Popular variation of Amish Bars block. Churn Dash -- simple, 9-patch design consisting of squares and triangles, the Churn Dash block has a long history with lots of variations. Clays Choice -- popular block honoring Henry Clay, longtime politician of the early 1800s. Double Four-Patch -- complex variation of the 4-Patch. Double Nine-Patch -- more complex variation of the simple 9-patch block. Double Wedding Ring -- popular during the Depression, the Double Wedding Ring quilt has always been a symbol of love and romance. Dutchmans Puzzle -- using pairs of small Flying Geese blocks, this 4-patch design is reminiscent of a Dutch windmill. Fine Woven -- a 4-patch block constructed of 2 light-dark-light squares and 2 dark-light-dark squares, but unlike the Basket Weave block it uses more than 2 colors. Flock of Geese -- a 4-patch block constructed of large and small half-square triangles; the design brings to mind an image of geese flying across the sky. Flying Geese -- simple block design consisting of a larger triangle (the goose) surrounded by two smaller triangles (the sky). Four-Patch -- simplest block design using 4 squares of fabric. Popular Amish block. Framed Square -- simple 9-patch block design using squares of fabric: 8 squares of 1 color surrounding a center square of another color. Popular Amish block. Grandmother's Fan -- an old pattern popular in Victorian times, the versatile Grandmother's Fan was a popular block to use up scraps with during the Depression years. Hen and Chickens -- a simple geometric pattern using triangles, squares and rectangles. Popular Amish block. Jacob's Ladder -- a very old pattern -- 2 different versions of this block: 4-patch and 9-patch versions. Popular Amish block. Jobs Troubles -- 4-patch block inspired by the Old Testament story of Job, a faithful farmer who, in spite of unbearable hardship and sadness, never lost his faith in God. Popular Amish block. Log Cabin -- Popular during the late 1800s, the Log Cabin block probably became a favorite block among early quilters because it required a minimal amount of cutting and gave them an opportunity to use utilize narrow scraps of fabric. Popular Amish block that when combined exhibit a sophisticated, though subtle, color progression in their designs. Lone Star -- multi-color variation of the simple 9-patch Ohio Star quilt block composed of quarter-square triangles and squares. Popular Amish block. Maple Leaf -- a 9-patch block; one of many patchwork designs based on natural objects. Nine-Patch -- one of the simplest block designs using 9 squares of fabric. Popular Amish block. Ohio Star -- simple 9-patch quilt block composed of quarter-square triangles and squares. Popular Amish block. Rail Fence -- 3-rectangle squares configured to form a "zig-zag" design across the diagonal of the quilt. Road to California -- color variations of the 9-patch Jacobs Ladder. Roman Square -- 9-patch block using small rectangles; also known as Beggars Blocks and Cats and Mice. Shoo-Fly -- 9-patch block made of a combination of half-square triangles and squares; named after a wild plant with domed flowers called clover broom or shoo-fly. Popular Amish block. Spirit of St Louis -- a 4-patch block that uses identical squares arranged in a pinwheel fashion. Stepping Stones -- 3-color variation of the 9-patch Jacobs Ladder; name used in Virginia and New England. Storm at Sea -- interesting old pattern that creates an all-over design with the illusion of curves and rolling waves from a few geometric shapes. Tail of Benjamins Kite -- 3-color variation of the 9-patch Jacob's Ladder; name used in Pennsylvania. Texas Star -- multi-color variation of the simple 9-patch Ohio Star quilt block composed of quarter-square triangles and squares. Trail of the Covered Wagon -- 3-color variation of the 9-patch Jacob's Ladder; name used in the Far West (same as Wagon Tracks). Wagon Tracks -- 3-color variation of the 9-patch Jacob's Ladder; name used in the Far West (same as Trail of the Covered Wagon). Winged Square -- 9-patch block made of a combination of half-square triangles and squares.